4-6% of the US population has ADHD, which can interfere with concentration an memory. In children, it has a noticable effect on their school work and grades.Listol is an extremely safe all-natural supplement that rids your body of toxins that interfere with memory and learning, while also correcting vitamin deficiencies commonly associated with ADHD. Several mineral deficiencies have been found in children with ADHD. A Lancet study published in 1985 states that with the proper supplementation, the symptoms of ADHD can be suppressed. 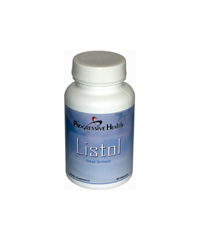 Listol may help your child be more attentive to the world around them.